I had made this dish on Thanksgiving weekend but it took couple of weeks to write down the recipe. So thanks for bearing with me. Today’s one is Pumpkin Pecan Pie. After the field trip to the pumpkin patch from his school, my six years old started insisting that we have to bake a pie on Thanksgiving. He was so much into Pumpkin that he got a book from his school library to help his mommy to prepare the dish for him. Finally on the day, he was happy that mom could make it! Instead of eating he was more interested to cut the pie with knife. If you closely look at my pictures, then you can find those signs. But before that, he too helped me in mixing and beating the filling. 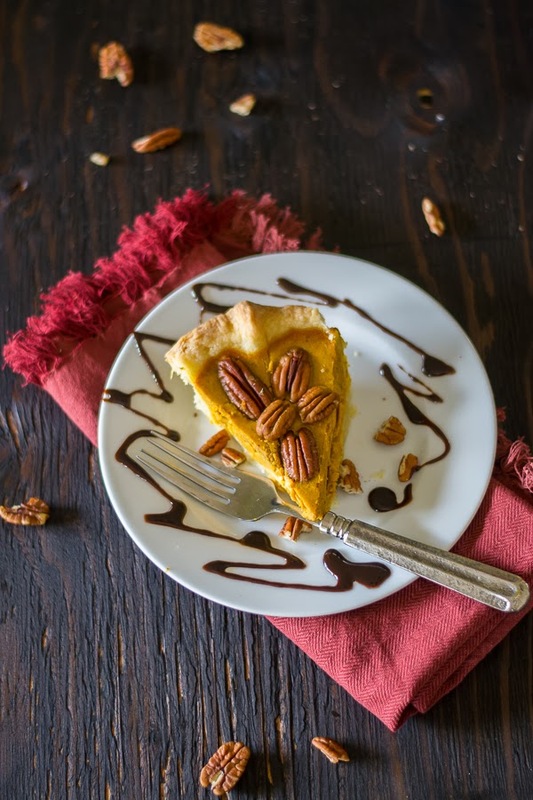 There is a tradition of serving Pie on Thanksgiving Day in both the United States and Canada. 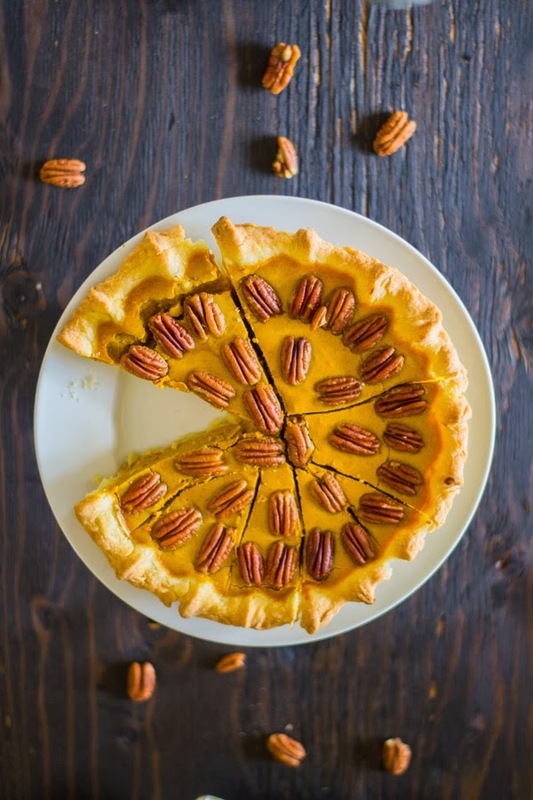 Pumpkin Pecan Pie is generally made into an open, single crust pie shell that is filled with smooth custard-like filling. 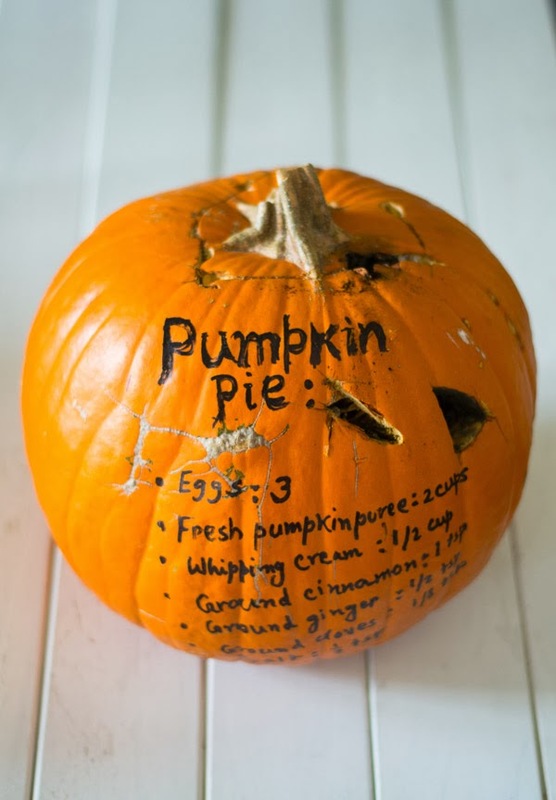 The filling is made with pumpkin puree, eggs, cream / milk, sugar and spices. It’s a soft pie as it is made with an unbaked crust. The filling is also uncooked that is baked until the crust becomes browned and the filling is set. Once the filling is done, let it cool down at room temperature and then you can serve with a dollop of whipped cream. I myself avoided the cream and added some pecans for crunchiness. There are several options to make your best pie crust. What I had made is buttery and has crumble texture. This is my very first home-made Pie crust. Actually I was nervous about making pie crust at home, but realized later that making pie crust is not so difficult! Last few days I read many recipes for the same, but could not trust anything other than my favorite Joy of Baking. 1. In a food processor or in a big mixing bowl, place the flour, sugar, salt and mix it unit they are combined. Add the butter and again mix it. Add two tablespoons iced water and make a dough. If necessary add little water. 2. Turn the dough on a flat surface and make a ball. Flatten it into a disk and cover it with plastic wrap and let it rest for 30 minutes into the refrigerator. 3. Once the dough is sufficiently chilled, place on a slightly floured surface and roll out into a 13 inch circle. Check the thickness to prevent the pastry from sticking to the counter. 4. Fold the dough in half and gently place it to a 9 inch pie pan. Tuck the overhanging pastry under itself, decorate the border. You can trim the pastry to the edge of the pie pan. Covered it with plastic wrap and refrigerate it for about 30 minutes or until the filling is ready. 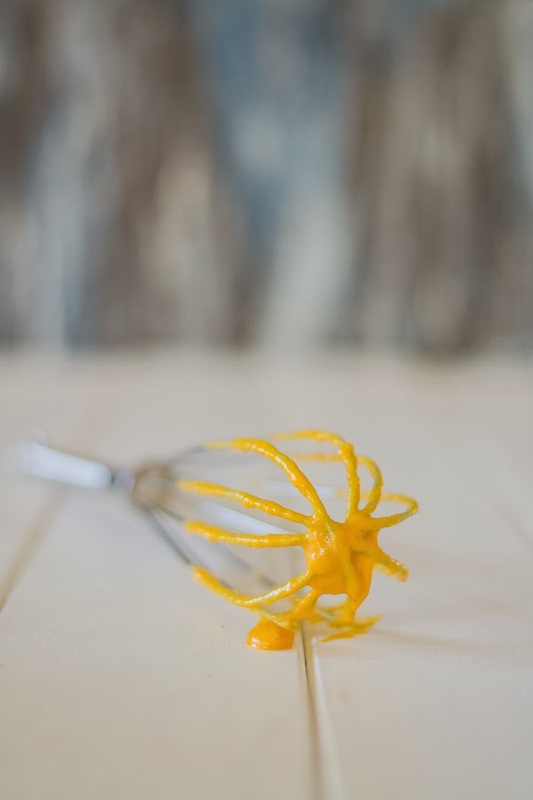 In a large bowl, take the eggs and whisk it lightly. Add the pumpkin puree, salt, sugar, ground cinnamon, ground cloves and ground ginger. Stir it and mix it until they are well combined. Place it on a wire rack and let it cool down at room temperature. Serve it with whipped cream or without cream. The pie looks perfect, Period. 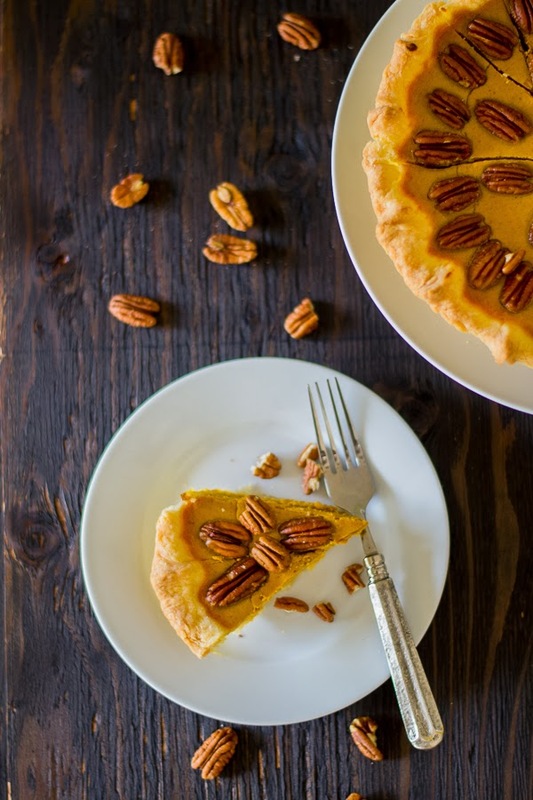 I am a big fan of pumpkin pie and the pecans are definitely a great touch.